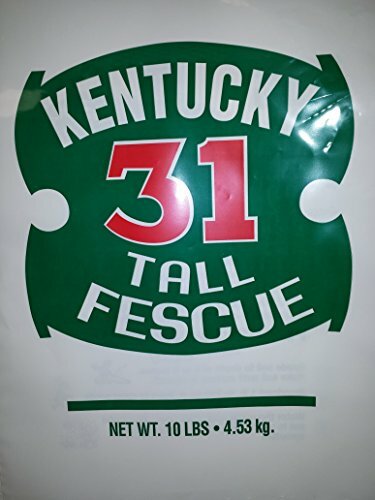 KY-31 is especially formulated for improved shade tolerance, drought survival and disease resistance. It produces a lawn that has a rich, dark green color, one of the most disease and insect resistant grasses available,and ideal for heavy traffic or recreation areas. Durable: The heart of KY-31 is its amazing, deep root system. Climate Tolerant: Hot summers and cold winters are no threat to KY-31. Soil Adaptable: Whatever your soil type - acid or alkaline, dry or poorly drained, rocky or sandy (even perfect) KY-31 will thrive. A Low Maintenance Seed Designed for Tough Conditions: Heat , drought and brown patch resistant. If you have any questions about this product by FARMERS DAUGHTERS SEEDS, contact us by completing and submitting the form below. If you are looking for a specif part number, please include it with your message.